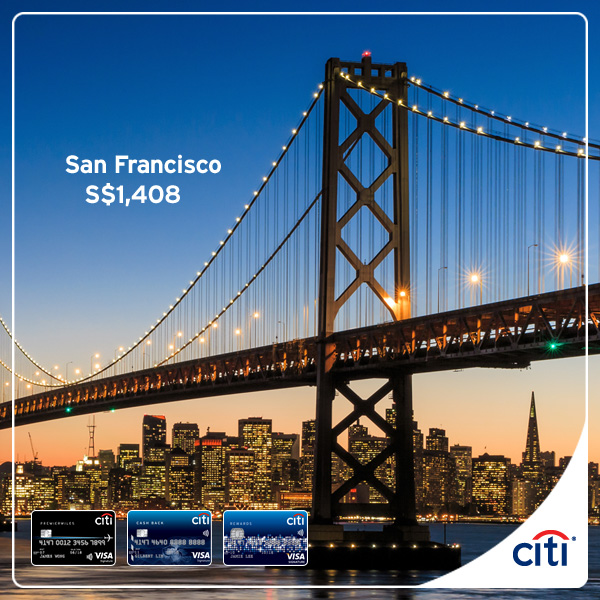 Enjoy these exceptional fares on Singapore Airlines to over 55 destinations, with Citi Credit Cards. Book by 31 July 2017 and redeem a complimentary 20" New Yorker trolley luggage! T&Cs apply. Prices are inclusive of airfares, airport taxes and surcharges. Prices could differ slightly due to currency fluctuations and are subject to seat availability. Be the first 1,000 customers to receive a complimentary 20" New Yorker trolley luggage when you book your air fares with your Citi Credit Card. A minimum spend of S$1,600 required. To enrol, please SMS <CITISQ> to 72484. Booking must be made by 31 July 2017. Previous: [Better Vision] Prepare for one more Weekend for Save 2xGST , on 14 to 16 July.